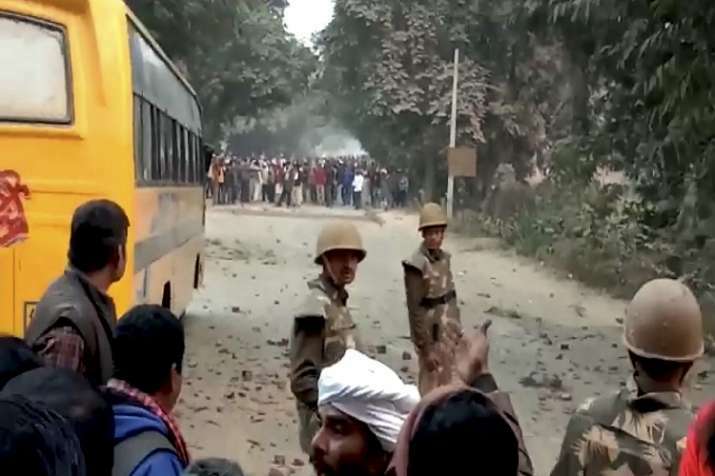 Uttar Pradesh police have arrested 19 people in connection with the killing of a policeman in Ghazipur district when protesters hurled stones at vehicles returning from the venue of a public meeting addressed by Prime Minister Narendra Modi, PTI reported quoting a senior police official on Sunday. Vats (48) was hit on the head by a stone when he went to end a traffic jam caused by the protests. Former Chief Minister and Samajwadi Party leader Akhilesh Yadav on Sunday accused Chief Minister Yogi Adityanath of following 'thoko neeti' (encounter policy) to avoid transfers, which has led to confusion in the police force. "The Chief Minister keeps harping about 'thok do' (encounter policy). Sometimes the police donot know whom to beat up." "The encounter policy has led the police officers to believe that they could be transferred if they don't organise 'encounters,' forcing their subordinates to follow this attitude," he alleged. Chief Minister Yogi Adityanath has announced a compensation of Rs 40 lakh for the wife of Vats and Rs 10 lakh for his parents, the state has government said. The death comes less than a month after the killing of Inspector Subodh Kumar Singh in Bulandshahr district. He was shot dead during a mob violence over alleged cow slaughter. The man who allegedly shot the Bulandshahr inspector was arrested last week. Modi had addressed a public meeting after laying the foundation stone for a medical college and releasing a postal stamp on Maharaj Suheldev. He had left for Varanasi when the violence in Ghazipur took place.